Young love can be a confusing and powerful force, especially if you’re the youngest member of the House of Kardashian. Kylie Jenner recently gave a tour of her new home, a modest $2.7 million mansion, showing off the hard labor of her remodel and a weird outfit. 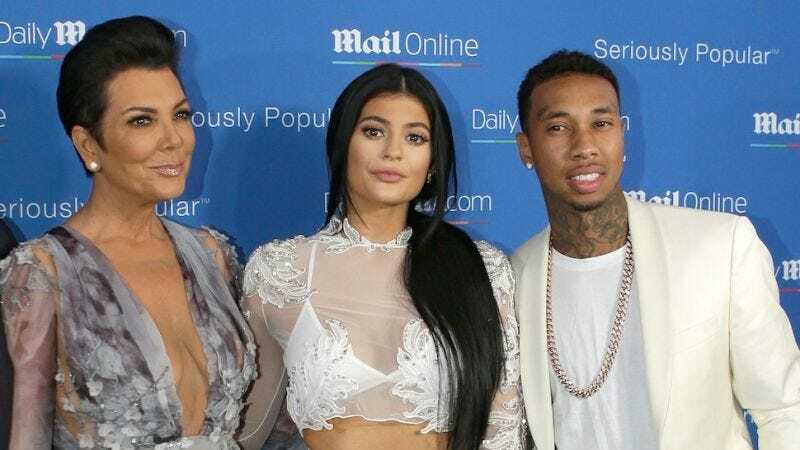 She shared meaningful family photos: her grandmother Esther, her sisters, and, of course, Tyga’s mug shot from his arrest three years ago.